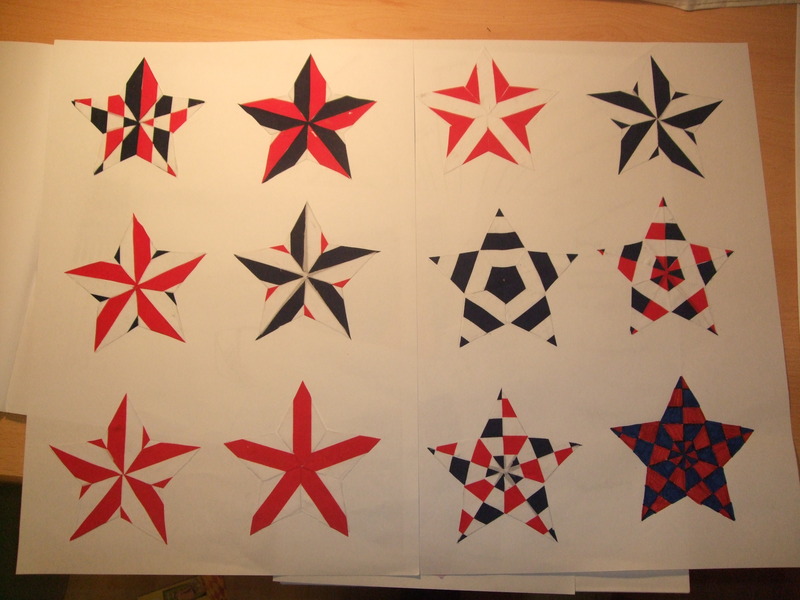 I cut the stars out and pinned them onto either red or navy squares of fabric, to get a feel for how they would look against the coloured backgrounds. It just so happened that I arranged them in a row, alternating red and navy, and I suddenly before my eyes was a design idea that I really liked. Why just stick to one star? (It would be difficult to choose my favourite in any case). 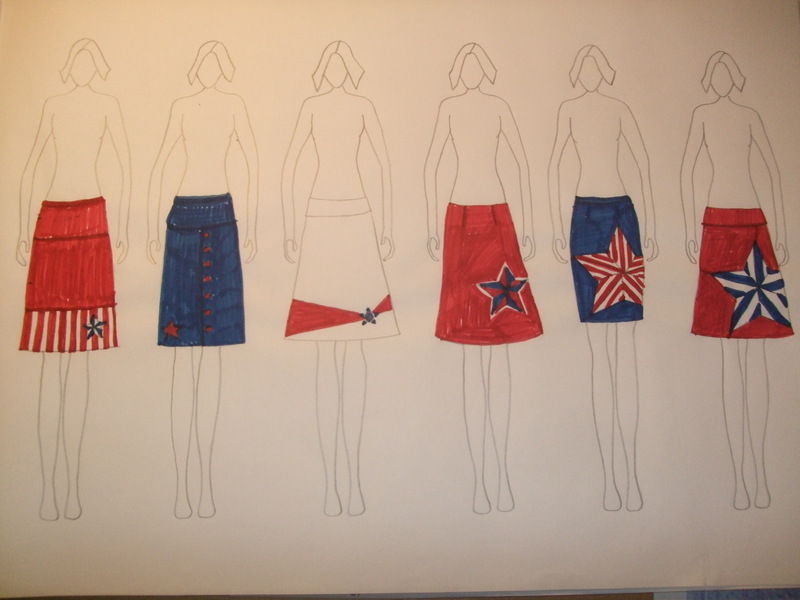 I think a patchwork-inspired row of stars along the bottom of my skirt is going to look great. And I have decided that the majority of the skirt will be navy with red detailing, so that I can wear it with one of my many pairs of red shoes. I just have to get it down on paper now! Finally, a design idea I like! Now, for the skirt style, I’m still thinking A-line. I found a pattern I liked for an A-line skirt, and bought it along with these other patterns for only £1 each from the college! I think they buy them in bulk and then sell them to students at a reduced rate. I took advantage of the bargains and picked up some for myself and my daughter. Pleased as I am with the patterns, it turns out I may not use the skirt pattern at all, as in week 8’s session, Debbie taught us how to make our own patterns for straight and A-line skirts! As I am keen to do as well as possible on this course, I thought it would be fabulous if I could make my own pattern. I also think it would be great to show our readers how to make their own straight or A-line skirt patterns, so in due course I will be posting a separate blog entry with instructions on how to do this. I have made my pattern for the A-line skirt, and in next week’s session I shall be using it to make a toile, so once I have done this successfully I’ll post a tutorial. ← McCalls M4518 – Does it really only take 2 hours?